Welcome to Raith Farm, a spacious self-catering holiday home-from-home. We are located near Gleneagles in spectacular countryside in the middle of Perthshire within easy reach of magnificent mountains to the north and Glasgow and Edinburgh to the south. The recently-refurbished 4-bedroom farmhouse comfortably sleeps 8 or more and is well-equipped with all the gadgets and comforts you would expect at home. With views over the Earn Valley to the Ochil Hills and our peaceful rural location, Raith Farm provides an ideal base for exploring Scotland from the big cities to the highlands. If walking, golf, white-water rafting or fishing is not your thing, simply relax in the beautiful countryside or indulge yourself in some of the best shopping in Europe. Raith is an ideal family destination with a safe environment for children and an enclosed garden where dogs are welcome. Perthshire offers 40 golf courses ranging from the grandeur of Gleneagles and St Andrews to the excitement of highland 9 hole courses. There are 6 courses close to Raith, including Gleneagles, Auchterarder, Crieff, Comrie and Muthill. In addition to the Johnnie Walker PGA Championship, the Ryder Cup comes to Gleneagles in 2014 and Raith is ideally placed for visitors to all these major golf tournaments. Raith Farmhouse is one of the few accommodation providers inside the Ryder Cup Park and Ride cordon and guests will benefit from direct transfers to the event via a shuttle bus service provided by the event organisers. 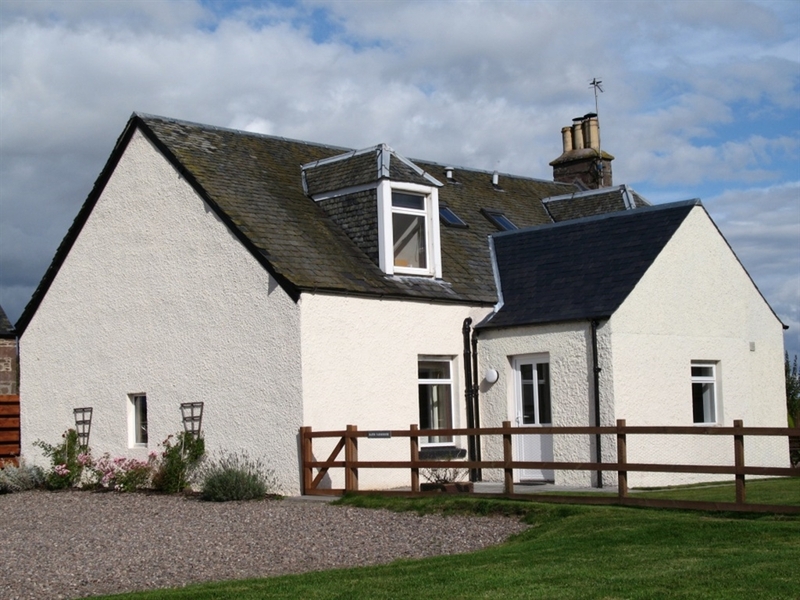 The Farmhouse offers a comfortable base from which to explore all that Scotland has to offer to the visitor. With a supply of books and toys for that rainy day and a whole host of local attractions, it is an ideal option for two families sharing a holiday. Bedding, towels, heating and electricity are all included on the price, so no additional charges to worry about. Our great central location means that this is a destination to suit a wide variety of tastes for holiday activities. The hills to the west and north offer stunning walking and every variety of outdoor pursuit while the local golf and fishing is world renowned. Raith is just over an hour from Edinburgh Airport and with the Loch Lomond and Trossachs National Park to our West and the foothills of the Grampians only 15 minutes drive to the North we are truly in the heart of Scotland. Our booking week runs from Saturday to Saturday – weekends and short breaks are available by arrangement. We ask for a 25% deposit at the time of booking and payment in full on arrival. There are no additional charges and we welcome well-behaved dogs — a maximum of 2 per booking. The house is available from 4pm on the day of arrival and you are asked to depart by 10am on the day of departure.